What are LinkedIn career pages? LinkedIn career pages were created as a way for companies to share more information with potential applicants on LinkedIn. It is essentially a condensed version of you own career page from your website, but it is found on your LinkedIn company profile. What information does a LinkedIn career page contain? There are three main menu points on a LinkedIn career page: overview, jobs, and life. We will go through each point to give a more in-depth description of what is found in each category. The overview is similar to a standard LinkedIn company page, but includes more information. It covers topics such as an “about us” section, statistics on current employees, statistics on current job openings, and links to the LinkedIn pages of notable alumni. The next menu point is job openings. The top section of this page will suggest relevant positions to the user based on their skills they have added to LinkedIn. Underneath are all of the recently posted jobs. At the bottom of the page are more statistics on the current employees at the company including location, seniority level, education level, and skills. Life is the last main menu point and is the most customizable. Here you can make target group specific pages that users can choose from through a drop down menu. Some example pages are career/culture, product, sales, engineering, marketing, university graduates, and location specific. These individual pages then contain more specific information geared toward that target group. You are able to include more personalized details in this section, such as profiles of the current leaders, detailed descriptions of the values and benefits, photos from current employees, employee blog posts, employee testimonials, and videos. What are the benefits of using a LinkedIn career page? The benefit of having a career page on LinkedIn is increased reach and more qualified applicants. 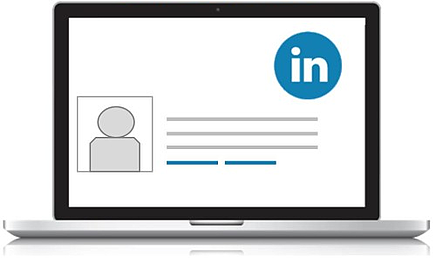 Because many job seekers are using LinkedIn, it is an easier way to get them to learn more about your company without even having to visit your website. And with personalized job recommendations based on their skills, they are likely to be a better fit for those positions.